Drug and alcohol abuse is a huge problem in the United States and it’s just getting bigger. As of 2014 nearly 22 million people suffered from addiction (excluding tobacco). This leads to over 100 deaths each day from substance overdose, and countless cases of damaged relationships, and long term damage to health. Identifying the signs, causes, and effects of substance abuse are critical in treating it. Both for mental and physical healthcare professionals and the general public can benefit from learning more, and becoming more aware of signs and symptoms in the people around them. Substance use disorder, also known as drug use disorder, is a medical condition where the use of one or several substances leads to negative side effects or other ill-effects. This is different than just drug use, which is not a medical condition by itself. According to the DSM-5, two or more of the following symptoms need to be present within a year of each other for a patient to qualify as suffering from substance use disorder. Using more of a substance than planned, or using a substance for a longer interval than desired. Inability to cut down on substance use despite desiring to do so. Spending a substantial amount of the day obtaining, using, or recovering from substance use. Cravings or intense urges to use a substance. Repeated substance usage causing or contributing to an inability to meet important social, or professional obligations. Persistent usage despite user’s knowledge that it is causing frequent problems at work, school, or home. Giving up or cutting back on important social, professional, or leisure activities because of substance use. Using in physically hazardous situations, or usage causing physical or mental harm. Persistent use despite the user’s awareness that the substance is causing or at least worsening a physical or mental problem. Withdrawal: characteristic group of physical effects or symptoms that emerge as the amount of substance in the body decreases. An important exception to this list is that in the case of prescribed medications, #10 and #11 (tolerance and withdrawal) do not by themselves constitute substance use disorder. Substance Use Disorder and Mental Illness share some interesting similarities. As we will detail later, they often coincide, one causing or triggering the other. But the connection doesn’t end there. Substances and mental illness both disrupt standard mental process and chemicals in a way very similar to each other. Substances alter dopamine input, affecting the brain’s reward system. This is one of the causes of addiction. However, this acts a lot like some mental illnesses, affecting behavior and emotional stability. This can lead to similar changes in personality and wellbeing. There are biologic commonalities between mental illness and addiction. Dual diagnosis occurs when substance use disorder and a mental health condition are present at the same time. People who suffer from addiction have more than twice the likelihood of also suffering from mental illness. Dual diagnosis is extremely common for many reasons, and it makes treatment more difficult, often requiring more work and effort to make a full recovery. 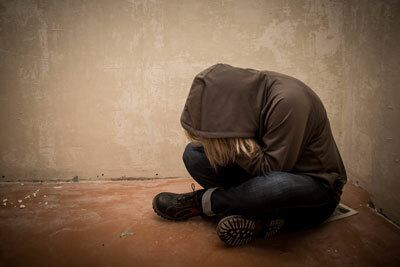 It is common for people suffering from mental illnesses such as depression, anxiety, and Schizophrenia to turn to substance use to manage their symptoms. This can make both conditions worse, and leave the user in an increasingly unstable position with little control over their lives. In these cases, it is critical that the user receives treatment both to detox and recover from substance use disorder as well as treatment for their mental health condition. Without proper treatment, such cases result in extremely high relapse rates. If the underlying mental condition isn’t treated properly, the patient will return to substance use again, either the same type or they will trade it for another addiction. Often more aggressive treatment plans are needed in these cases, such as inpatient rehab and counseling or intensive outpatient care to ensure that the patient has round the clock care and support. While drug and other substance use can often exacerbate existing mental health issues, or trigger new ones, it can also create some of the same symptoms. Some effects usually attributed to mental illness can be directly caused by certain drugs, triggering severe symptoms such as depression, hallucinations, and delusions of grandeur. These new mental health symptoms often disappear after detox is complete, making it necessary for patients to complete a detox program before it can be determined if a dual diagnosis is necessary. If the symptoms persist, than it is likely they are originating from a mental illness that either has been present for some period of time, or was triggered by substance use. Either way, if symptoms persist it means that long-term mental health counseling is needed. Here at Sunrise Services, we offer outpatient treatment that matches your needs. We have over 40 years of experience helping people with mental and behavioral health issues. We offer regular and intensive outpatient treatments that match the situation. Our professionals can work with you to find a lasting treatment option that is customized to your unique individual needs.